A person’s lips are the most attractive feature on the face for some and research shows that healthy looking, glowing lips can be one of the things that make strangers approach each other. While some people go for luscious red lips and favor lipstick, others are more into the natural look and that’s where lip balms come into play. 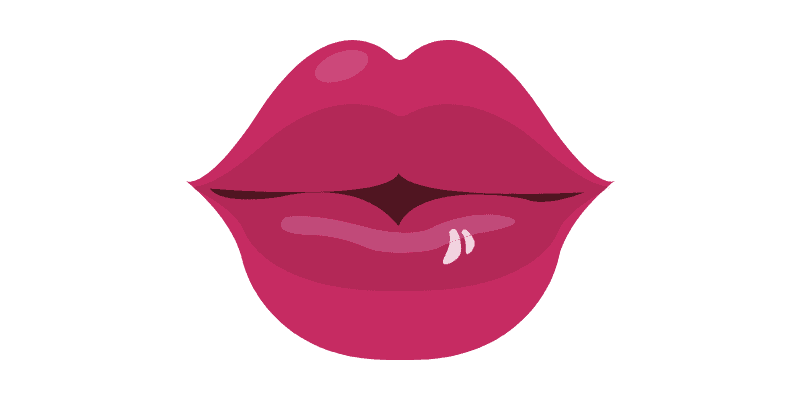 Lip balms have been on the market for decades and offer the lips a subtle glow as well as much needed moisturization. Especially in the winter when chapped lips can be a problem, lip balm is something that most women carry in their handbag on a regular basis; just in case. Lip balms come in different flavors, shapes, and sizes but the latest lip balm to storm the market is CBD Lip Balm and that’s what seems to be getting most of the attention these days. 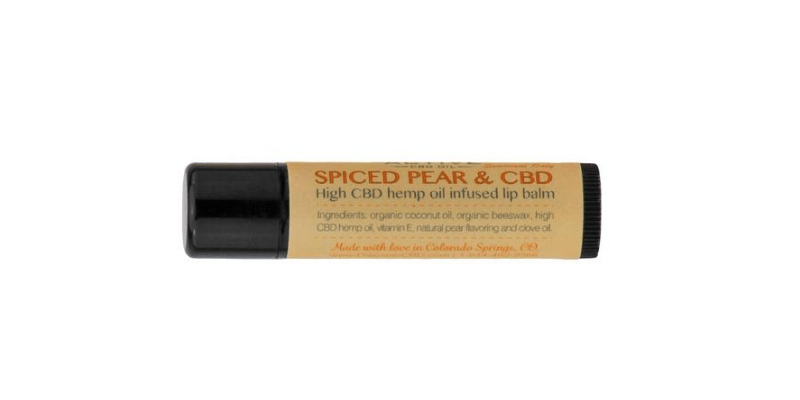 While many lip balms contain soothing ingredients like menthol and aloe vera, CBD Lip Balms go one step further and actually heal the lips, leaving them feeling refreshed and invigorated. Just in case you’re worried about it, all the CBD Lip Balms featured below are 100% THC-Free and contain only the best-quality CBD Extract available on the market. The CBD compound contained inside the lip balm has been found to balance the immune system while soothing the digestion and calming the nervous system, depending on how it’s taken. Many people who use CBD Lip Balm say it promotes a state of tranquility and can even help to relieve their anxiety. Some folks even claim that CBD helps with headaches, body pain and the symptoms of PMS. CBD Lip Balms, such as the Endoca CBD Lip Balm, also contains other great ingredients associated with repairing sun damage to lips. Take a look at three of the best CBD Lip Balms around and see which one is the best fit for you. In the wonderful world of CBD, Endoca is a name you can trust as they’re one of the biggest and most reputable CBD companies in the industry. They offer a wide range of different CBD products including CBD Tinctures, CBD Capsules and CBD Oil, as well as some of the best CBD Lip Balms available. Endoca is a company that firmly believes in the hidden secrets of CBD and the magic of the Hemp Plant. Endoca CBD Lip Balm contains the finest, decarboxylated CBD extract, as well as being packed full of naturally-occurring cannabinoids, terpenes, and flavonoids. Endoca’s CBD Lip Balm uses only ethically sourced organic and natural ingredients. Packed with Organic Hemp Oil, rich in Omega 6 and 3 fatty acids, and containing pure CBD extract, Organic Beeswax, Organic Coconut Oil and Vitamin E, this product appeals to those into natural and healthful living. Endoca CBD Lip Balm also tastes great when applied to the lips as it contains Vanilla extract, Limonene, and Honey. 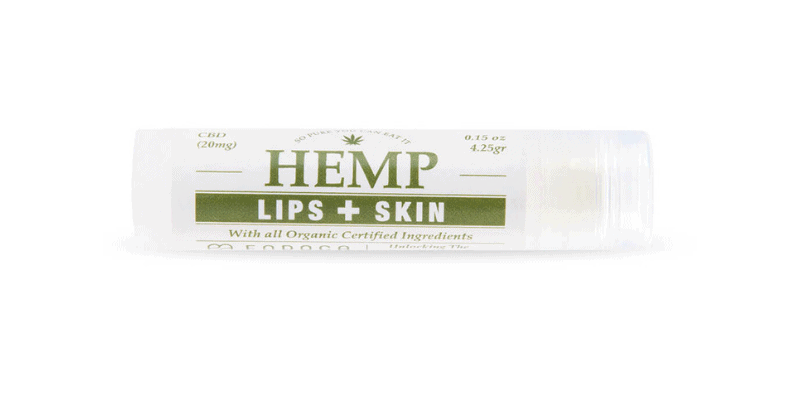 Each tube of CBD Lip Balm contains 20mg of CBD and provides a great moisturizing solution for your lips. But there’s more than just one good reason to choose Endoca when it comes to buying CBD Lip Balms. They certify their whole manufacturing process from seed to shelf and are proud of the procedures they have in place to ensure the finest quality and great customer service. Endoca guarantees their CBD Concentrate percentages and assures customers that they receive exactly what’s written on the label with no surprises. All of Endoca’s CBD Extracts are quality tested by a third-party lab, and those results are provided to customers in a totally transparent way. For full peace of mind though, Endoca’s thousands of online reviews speak for themselves and they offer fast and cheap worldwide shipping to countries where CBD is legal. CBDistillery is a much-loved name within the CBD industry and is a company on a mission to bring the best CBD available to customers around the world. Whether it’s CBD Edibles, CBD Tinctures or CBD Lip Balms – CBDistillery has you covered, taking the guesswork out. They are proud to present their highest-quality CBD Extract but in Lip Balm form for people who want to use a natural and completely organic product instead of chemicals. The CBDistillery CBD Lip Balm contains only natural ingredients aimed to soothe, moisturize and protect chapped lips; great for the winter months. Another great thing about CBDistillery is the fact that they use the same best-quality CBD Extract across their whole range of products, assuring their customers get the best CBD available anywhere. Each CBD Lip Balm is pesticide-free, non-GMO and is extracted from the mature stalks and stems of the cannabis plant. 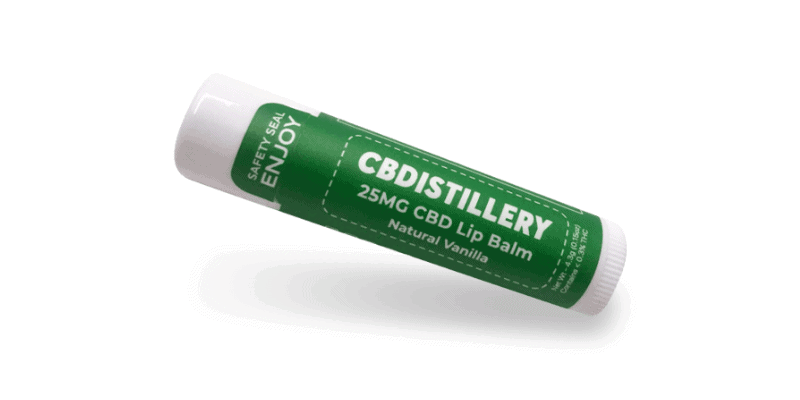 The CBDistillery CBD Lip Balm contains 25mg of Hemp Cannabinoids including CBD, CBDA, CBG and CBN. The other ingredients inside this Lip Balm include Beeswax, Sweet Almond Oil, Shea Butter, Cocoa Butter, and Natural Vanilla flavoring. Then there’s Monica L., another verified buyer who took the time to post a review online. “Great stuff – Completely satisfied with the efficacy of this product. I am telling all my loved ones they should be taking it, too. I feel wonderful,” she posted. If you are interested in trying CBD Lip Balm, CBDistillery’s product is one you can trust and is always a great starting point for beginners. Discover CBD offers a wide range of CBD products, including CBD Edibles, CBD Topicals, and CBD Tinctures. Operating out of beautiful Colorado Springs, as well as from Denver, Discover was founded by three friends who were as passionate about nature as they were about CBD. While one team member is a doctor with training in nutrition and family medicine, the other is an experienced hemp Horticulturist, specializing in CBD-heavy strains. The third member of the team, a business professional in the CBD industry completes this expert trio who bring the very best CBD products to the global CBD market. Discover CBD Lip Balm is 100% THC-free and contains Full Spectrum CBD Extract expertly combined with natural herbs. The great thing about the Discover range is that you get to choose from a few uniquely scented options, including Lavender, Lemongrass and Peppermint, Spiced Sugar Cookie, Spiced Pear and limited-edition Coconut Lime. Discover CBD assure their customers that each and every batch of their active CBD Oil are individually tested by a third-party lab and all their results are available on their website. These lip unique lip balms not only offer all the goodness of finest-quality CBD Extract, along with Vitamin E and other goodies, they also smell great on the lips and can be switched up according to your mood. CBD Lip Balms are considered by many to be healthier than other chemical lip balms on the market today. When choosing the right CBD Lip Balm for you take into account overall CBD content, flavor, smell and of course price.